Player two plays pass to player one who runs to meet ball and play pass back to player 2. Player one then runs back to tag pylon. 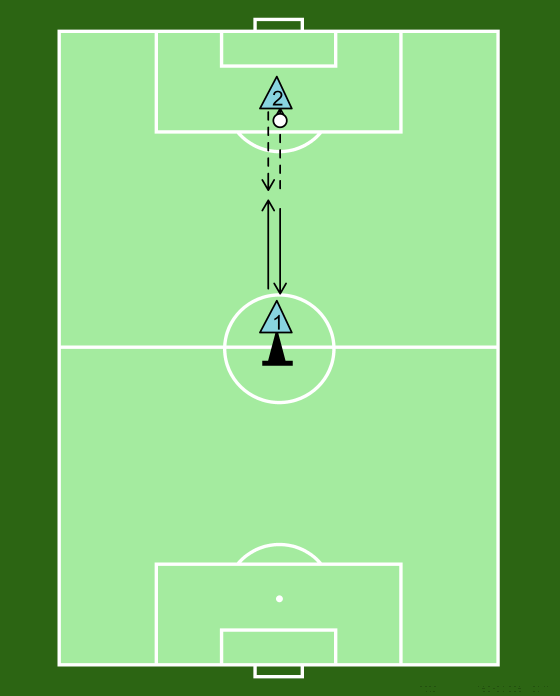 Runs back forward to receive and play back next pass.